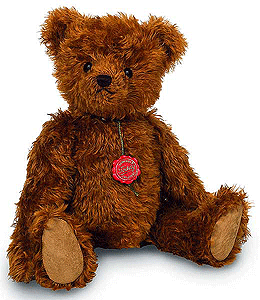 Teddy Hermann Burkhardt Teddy Bear, fully jointed and made of the finest russet brown Mohair. 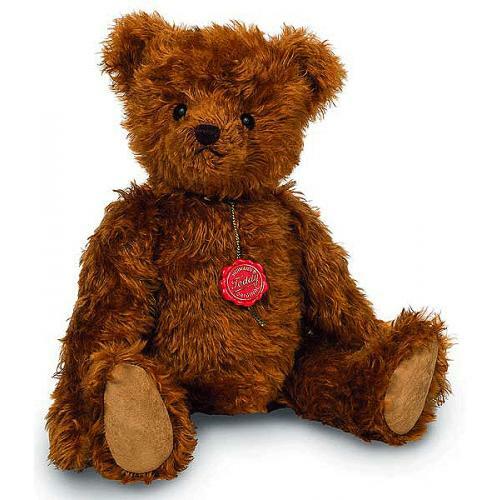 Product details: Item number 146773, safety eyes, wood wool filling, with growler, Surface washable only, size 45cm (18 inches). Comes boxed with numbered certificate.